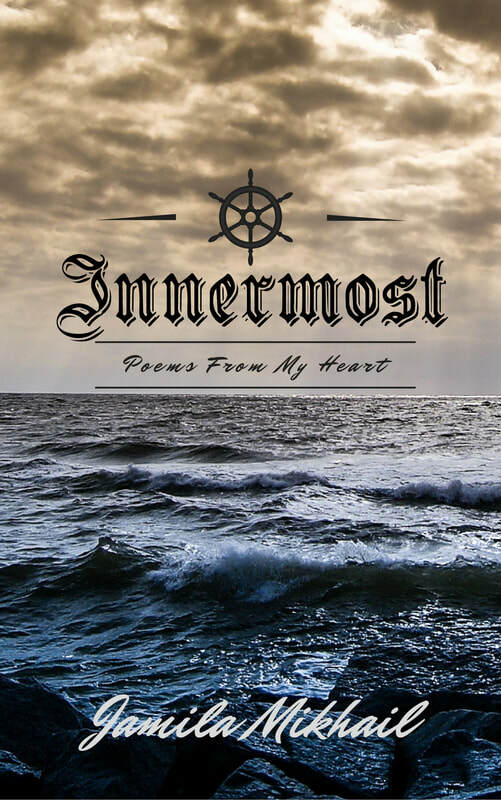 Innermost is a collection of both free verse and fixed verse poetry written over a period of half a decade about every emotion felt inside the human heart. 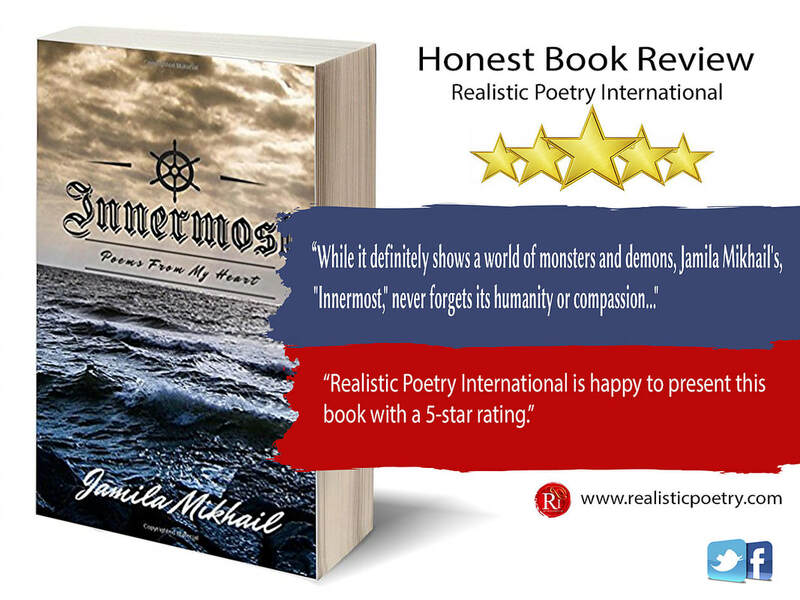 These poems will transport you to a whole other world within the innermost depths of the human soul. Log on to RealisticPoetry.com now to read the full reviews their team have given this book. Author Jamila Mikhail's poetry can speak to so many broken spirits and suffering hearts and I can definitely recommend this book to others.More than a presentation of conflict, adversity and pain, this book reads as a poetic testimony of perseverance, heart, love, courage and transition in which the author digs deep down into her soul and embraces her hearts innermost. While it definitely shows a world of monsters and demons, Innermost never forgets its humanity or compassion, and I'd consider it a must-read for anyone trying to better understand their own past traumas. Copyright © 2017 - 2019 Jamila Mikhail. All rights reserved.